Nishikigoi, also known as just “koi” in English, is a domesticated type of brocaded carp. Also known as the Japanese carp, they are kept for decorative purposes, as they add life and colour to water gardens or outdoor koi ponds. There are many varieties of Japanese carps, which can be distinguished by the colours or patterns of their scales. 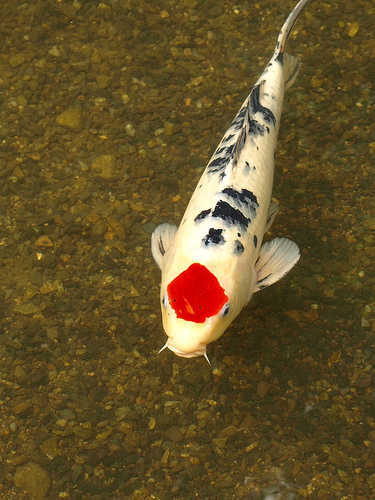 They are put into different categories, and the most popular category of koi is the Gosanke. This category is made up of the Taisho, Sanshoku, Kohaku, and Showa Sanshoku varieties. The Japanese carp was first introduced into Japan from China, around 400 to 600 years ago. In the 1820’s, they were bred for their colour in Ojiya, Niigata prefecture on the north-eastern coast of Honshu island. By the 20th century, several colour patterns had been established, with the red-and-white Kohaku being the most popular. Japanese carp became popular in Japan after they were displayed at an expo in Tokyo in 1914. Nowadays, the Japanese carp can be found all around the world and can be bought from specialist koi dealers. Like the common carp, the Japanese carp is a hardy fish. 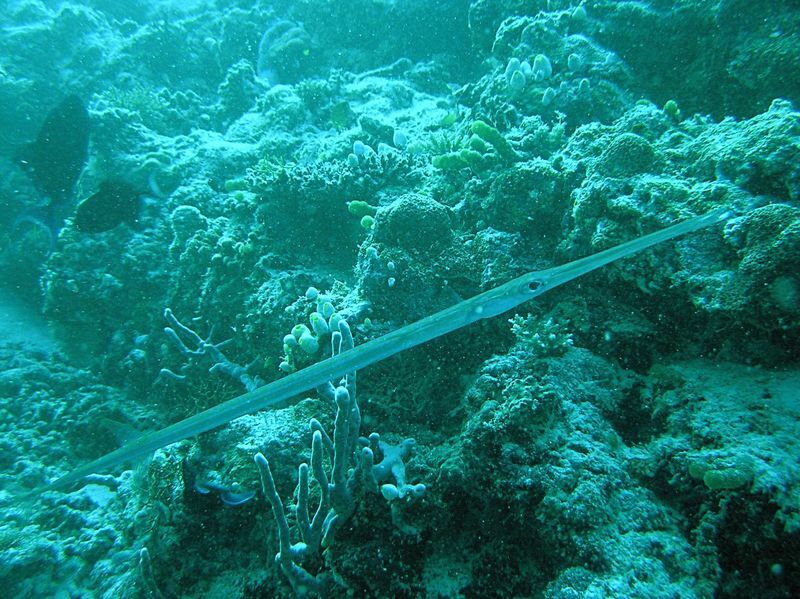 They are cold-water fish that can be kept in temperatures between 15 – 25 degrees Celsius. However, they do not fare well in temperatures below 10 degrees Celsius as their immune system will turn off. Koi are omnivorous fish. They will eat peas, lettuce, and watermelon. 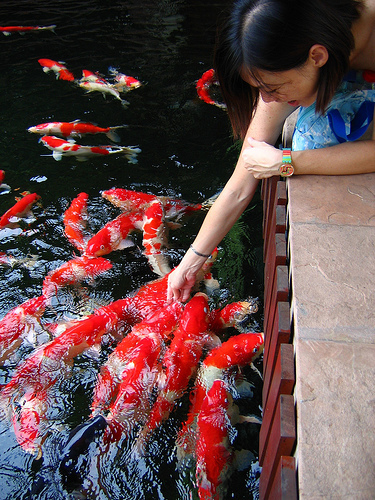 Owners can also feed them koi food that can be bought at any good pet fish store, as they are nutritionally balanced and also float to encourage them to go up to the surface. The fact that it encourages them to float up to the surface is important, as this is the only way to check the koi for ulcers and parasites. Koi produce thousands of offspring when they spawn. However, not even the champion koi’s offspring will be acceptable as nishikigoi if they have no interesting colours or may be genetically defective. If there are any unacceptable offspring, they are culled at various stages of their development by their breeder, using closely guarded trade techniques. Culled fry are destroyed or used as feederfish for arowana, because it is believed that it will enhance its colour. Older culls that are about 3” – 6” long are called Tosai, and are sold as low-grade pond-quality koi. Koi have been released into the wild in every continent except for Antarctica. When this happens, they quickly revert to the natural colour of common carp within several generations. They are considered an invasive species and pests, as they constantly stir up the substrate, therefore greatly increasing the water’s turbidity. As a result, this makes waterways rather unattractive, and reduces the amount of aquatic plants living in these waterways. When this happens, it will make the water unsuitable for swimming, or even drinking by livestock. In some countries, koi that have been released into the while have caused so much damage that a lot of money has been spent trying to eradicate them. Unfortunately, most of these efforts are unsuccessful. Were the koi introduced in Japan after China? No, it was introduced in China before Japan. Carps were bred in China thousands of years ago for colour mutations. In Japan, carp are called koi. Common carp were introduced into Japan from China around 400 – 600 years ago.